As a freelance entertainment journalist/writer/hack you can tell how valuable an actor’s time is – at least to the studio offering him up for interview – by the amount of time you are given with him. Other factors include how many people he has around him and whether or not you are asked not to ask any personal questions. In the case of Robert Pattinson, he is pretty valuable. While I am not asked to refrain from personal inquiries – the publicists know I don’t go in for that s*** – the former star of the Twilight series is having his time here at TIFF divvied into four-minute increments, such is the demand. The movie Pattinson is here to promote is Maps to the Stars. 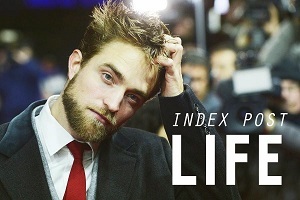 It is his second film with Canadian director David Cronenberg after 2012’s Cosmopolis. He was the lead in that film but has a secondary role in Maps, playing Jerome, a Hollywood limo driver with screenwriting ambitions. Mia Wasikowska (Only Lovers Left Alive) plays Agatha, a disfigured young woman with a secret connection to a high-powered Hollywood family, who employs Jerome to drive her around. Maps to the Stars is written by Bruce Wagner. A former actor who co-starred with Maps co-star John Cusack in 1986’s One Crazy Summer, Wagner has gone on to become a respected novelist and screenwriter. He also used to work as a limo driver, making him, for all intents and purposes, some version of Jerome. Pattinson says he only met Wagner after he had shot “quite a lot of stuff” on the film, which shot in Toronto and Los Angeles. As for former model Wasikowska, Pattinson says he has known her “for a really long time, and I’ve seen a lot of her stuff as well. I think she’s a really amazing actress. Pattinson will next be seen in Queen of the Desert, a biography of early 20th century explorer Gertrude Bell, played in the film by Nicole Kidman. 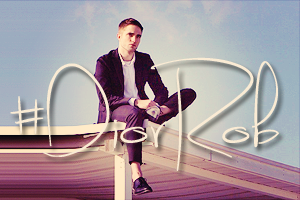 Pattinson co-stars as Col T.E. Lawrence, a part first essayed by the late Peter O’Toole in 1962’s Lawrence of Arabia. The movie is directed by German legend Werner Herzog (Fitzcarraldo, Rescue Dawn). As for screenwriting limo drivers, Pattinson says he has been accosted by several. “I actually have a few times. Multiple times… Many, many times. Even here!” he says, laughing. Happy 'The Rover' US DVD and Blu Ray Release Day!